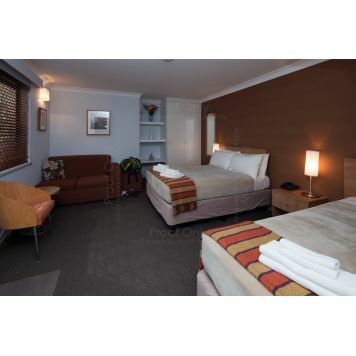 Morpeth Lodge Motel was built in 2006 and is a 9 bedroom facility, located 2 minutes by car from the historic town of Morpeth. All the rooms are beautifully appointed, with en-suite, kettle, toaster and bar fridge. All guests are welcome to use the kitchen/common room which has a fridge/freezer, microwave and conventional ovens, as well as seating for over 20 guests, including a high chair for our younger guests. 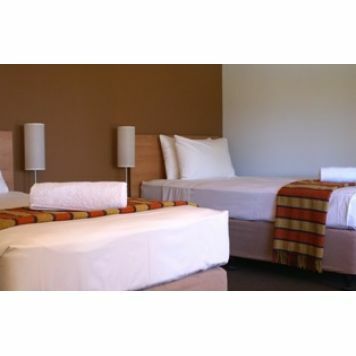 The motel sits on a lovely 4 acre site, and whilst staying with us, guests are welcome to use the BBQ, grassed area for soccer etc, Exercite, pool and tennis courts when available. Bronte Guesthouse is privately owned. A heritage listed building built in 1860, has being renovated combining a chic and modern style. The ground floor offers two guest lounges with endless natural light allows guests to relax and enjoy the ambience that has been created. There is one guestroom located on the ground floor of the guesthouse with private access from the car park. The second level comprises of five suites which have being themed to reflect the sophisticated traveller who requires complete luxury. Our check in time is between 3pm- 5pm. Should you arrive outside of these times please contact the guesthouse directly to arrange access. please note we would appreciate an estimate arrival time when making the booking.